Hey All! I hope you're having an amazing weekend! Ours was fun, but fast. Always too fast. Hub and I had a great time deepening the indents in our couch where we normally sit :) These are actually my favorite weekends. The ones where we sit together and do basically nothing. Hub plays some video games, I read some books, Hub plays more video games, I go in the kitchen and cook whatever sounds awesome at that time. It works for us. I mentioned the other day I was craving fair food so bad because of all this cold weather, and yesterday I was hit with a craving for one of my favorite summertime foods...a big ol' cheeseburger! We ran out of propane right at the end of fall last year and haven't used the grill since, so it's been a while since I've had a juicy hand-pattied burger at home. I decided "What the Hey!" and heated up the frying pan. While my beefy patties were sizzling away I felt like I wanted to kick these up a notch. My homemade burgers already had a lot of awesomeness going on (see recipe below), but I felt since it had been so long since I'd made one, I'd go all out. YOLO, right?! 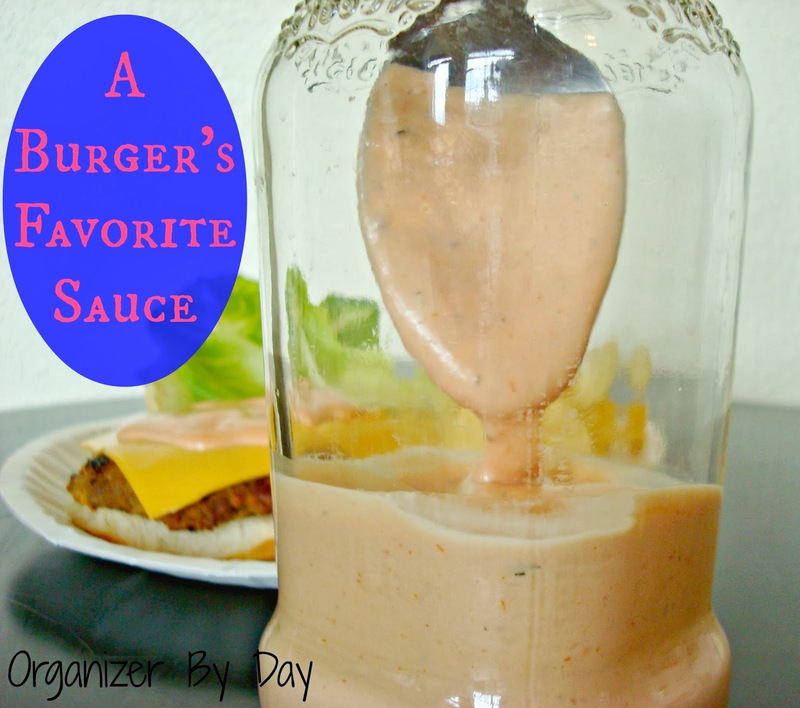 So I quickly whipped together what I like to call A Burger’s Favorite Sauce! This stuff is amazing!! It's got just the right amount of tanginess (is that a word?) and adds the perfect amount of creaminess (totally hate that word) to any burger! It takes no time to make and you probably already have everything you need in your kitchen. Just grab a small bowl, dump everything in and mix it up with a spoon. Use it with burgers, fries, potato chips, veggies, pretzels, chicken or even steak! Bacon? Sure! Chicken Nuggets? Yes. Anything you can think of! Popcorn?...ok maybe not anything :) Store whatever you have left in a glass jar in the fridge. Mix everything together and spread over your favorite dish. Store leftovers in the fridge. I'm not sure how long it would last, but I'm guessing at least a week. Mix everything into a large bowl. Patty out 4-8 burgers, depending on how big you like them. Refrigerate for one hour (or skip this part if you're in a hurry). Heat a frying pan to medium heat and add some butter to the pan. Place patties on melted butter and cover with a large metal bowl...I use a circular cake pan. Works just the same. Add about a 1/4 cup of water to the pan. Fry on each side 5-6 minutes, or less if you like your burger more on the medium to medium rare side, while keeping covered with the bowl. 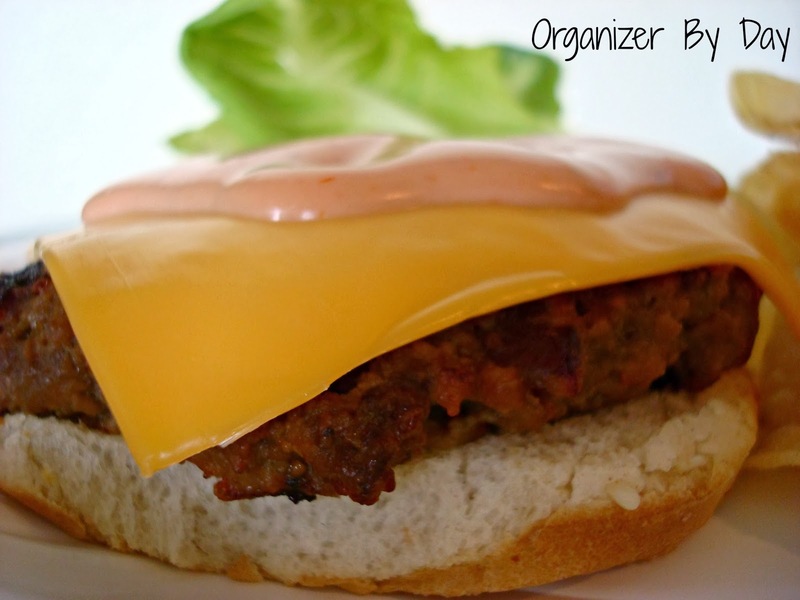 Remove the bowl and add your juicy burger to a toasted bun, add a big spoonful of A Burger's Favorite Sauce and Enjoy! Know of anything else that would taste great with this? Lemme know cause I'm anxious to eat it again! Hope you all had a great weekend! Oooo that sauce sounds yummy! We grill burgers on our George Foreman grill when we can't do it outside. Thanks for sharing, I bet this is all kinds of delicious! Yum! Looks like the sauce on an In-N-Out burger. Everything about this sounds so yummy! Bacon IN the burger? Sign me up! I adore sauces! Thanks so much for the recipe! Pinning and sharing! Sounds great! 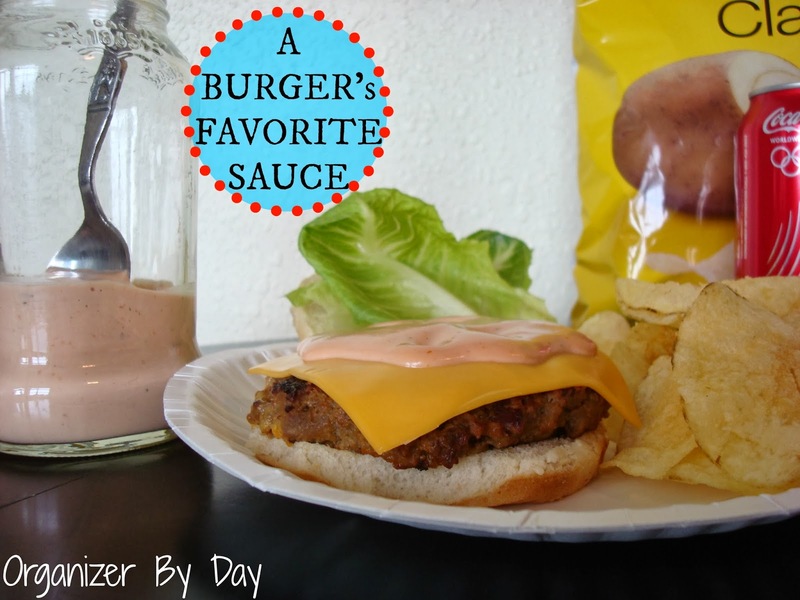 I love burger sauces! Ohhhh, all I can say is YUM! Pinning this now! Thanks for sharing. The sauce sounds and looks delish. We grill burgers every Sunday at our house and mix it up with different toppings. Some Sundays it turns out great then you have the fails. I'll be adding this sauce to a list to try on burger night. We host a Link up every Wednesday you should come over and share. This looks good. We are having burgers this weekend and I'm going to try it. Thanks. This looks amazing, I LOVE sauces like this and can't wait to try this one out. Thanks for sharing this at our Round Up. Have a great week. I have every one back in a couple of weeks and this is exactly what we are going to fix. Thank you so much for sharing it on Four Seasons Blog Hop. Pinning Now. I can't wait to try this sauce out! It looks absolutely amazing! Yum!!! This sauce has all my favorites so it must be great!! I will try it soon! 2 all beef patties, SPECIAL SAUCE,lettuce, cheese, pickles, onion on a sesame seed bun. Are you too young to know where that came from? The sauce sounds awesome. Thanks for linking to What'd You Do This Weekend. I do remember!! My older sister worked at McDonald's when that jingle came out and we used to sing it all the time! :) Thank you so much for thinking I'm so young!! 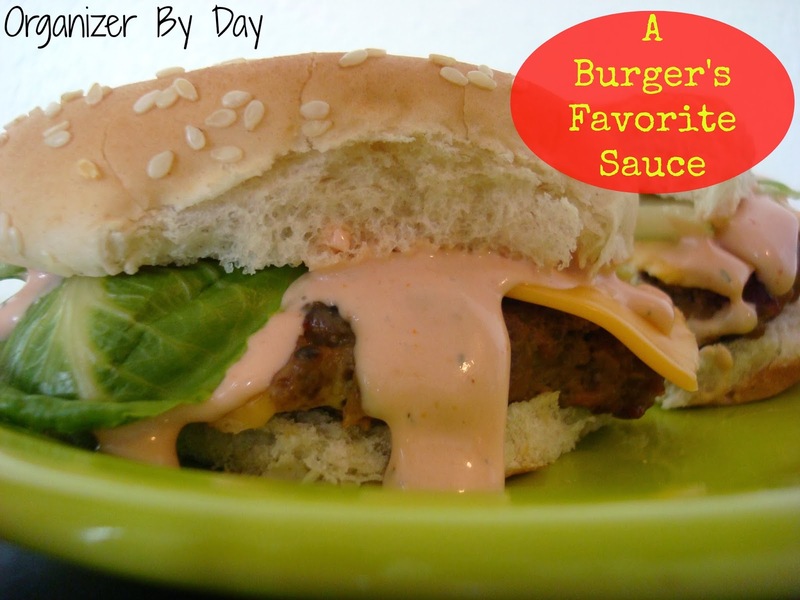 I'm always looking for a new a different recipe and I can't wait to try your Burgers favorite sauce. I'm sure it will be a hit. Elie, wow, this sounds like the perfect sauce for burgers and a lot of other things! I'm laughing at Linda's comment, because I am NOT too young to remember that! :) Thank you so much for sharing at Best of the Weekend! Have a happy Sunday and a fabulous week! Yummy! Can't wait to try this. Pinned! I think you way out did McDonalds. That is the best looking, "special sauce" I've ever seen. Thanks for bringing it to foodie friday. Yum! Thanks so much for sharing with us on The HomeAcre Hop! I hope to see you again tomorrow! its great to have a different home made sauce.usually its tomato sauce that's on the burgers.i just want to say thank u very very much for sharing.its a must have for the rest of my like.it looks fab. Why isn't there an option to Pin this?